Hagane: The Final Conflict (鋼 Hagane?) is a 1994 side-scrolling dystopian sci-fi action video game developed by CAProduction and published by Hudson for the Super Nintendo Entertainment System. 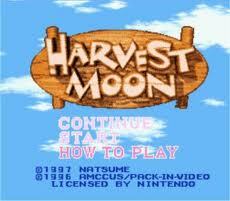 The game was released in Japan on November 18, 1994, in North America in June of 1995 and in Europe in 1995. 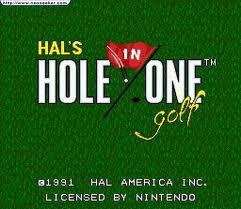 HAL's Hole in One Golf, known in Japan as Jumbo Ozaki no Hole In One (ジャンボ尾崎のホールインワン?, lit. "Jumbo Ozaki's Hole in One Golf"), is a Super NES video game that was released in 1991. 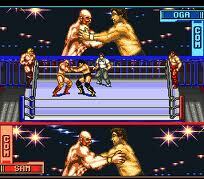 HammerLock Wrestling is a professional wrestling game for the Super NES that was released in 1994. In Japan, this game was called Tenryu Genichiro no Pro Wrestling Revolution (天龍源一郎のプロレスレボリューション? 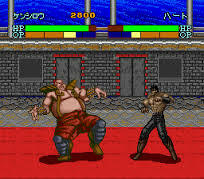 ).Named after Japanese professional wrestler Genichiro Tenryu and his faction Revolution, the Japanese version of the game uses the official license of the Japanese wrestling promotion Wrestle and Romance. 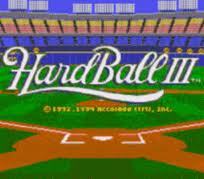 HardBall III is a multiplatform baseball video game developed by MindSpan and published by Accolade between 1992 and 1994 for the Sega Mega Drive, Super Nintendo Entertainment System and DOS computers. 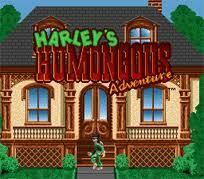 Harley's Humongous Adventure, known in Japan as Kagakusha Harley no Haran Banjou (化学者ハリーの波乱万丈?, "Chemist Harley's Stormy Life"), is a 1993 Super Nintendo Entertainment System (SNES) platform video game. 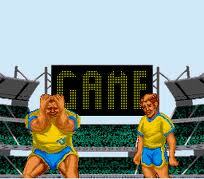 Fever Pitch Soccer (in North America, Head-On Soccer) is a soccer video game developed by US Gold. 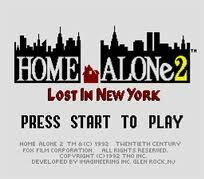 It was released in 1995 for the Super Nintendo Entertainment System, Mega Drive, and Atari Jaguar consoles. It is a slapstick game in which the player tends to have to lean towards "dirty" play, special player abilities include the ability to dive in an attempt to win a free-kick or penalty. There are two gameplay modes; tournament and exhibition. A password is given out following the successful completion of each game in the tournament so that play can be resumed at a later point. In Germany, the Super NES game is known as Mario Basler: Jetzt geht's Los! 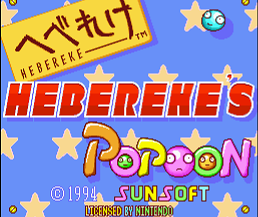 Hebereke's Popoon (へべれけのぽぷーん Hebereke no Popūn?) 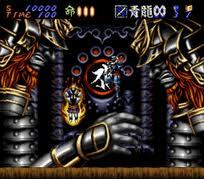 is a two player puzzle video game developed and published by Sunsoft. It is based on theHebereke series. Hebereke means drunk or untrustworthy. Popoon is an onomatopoeia for the sound made by the game pieces when they explode. Hit the Ice is a hockey video game originally released by Williams to arcades in 1990. Featuring a cartoonish representation of the sport, Hit the Ice features games with three players on each team (forward, defense, and goalie). Unlike standard hockey, there are very few rules, as players are encouraged to trip, elbow and kick opponents. 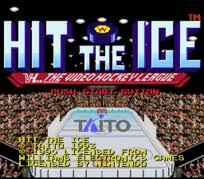 Taito released ports of Hit the Ice for various platforms. The unreleased NES version was the most unique of the home versions, adding a role-playing "quest" mode not present in any other edition of the game. Hokuto no Ken 6 is an Action game, developed by Shouei and published by Toei Animation, which was released in Japan in 1992. Hokuto no Ken 7 : Seiken Retsuden Denshōsha e no Michi (北斗の拳７ 聖拳列伝 伝承者への道?, Fist of the North Star 7: History of the Sacred Fist - The Way of the Successor) is the third and final Hokuto no Ken video game for the Super Famicom in Japan, released on December 24, 1993. 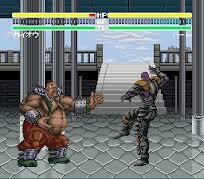 It is a fighting game similar to the previous installment, Hokuto no Ken 6, which changes to the game mechanics and character roster. Home Improvement: Power Tool Pursuit! 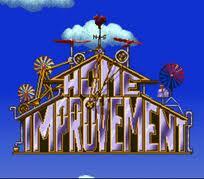 is an 2D action platformer video game for the Super Nintendo Entertainment System very loosely based on the sitcom Home Improvement. 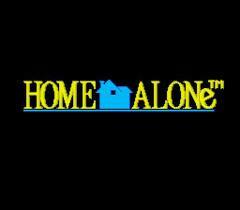 A version for the Sega Genesis was reported, but never released. Hook is a game that was released in 1992 on four different consoles. The original version for the Super Nintendo Entertainment System was designed and developed by a Japanese game developer, Ukiyotei. The Sega Mega Drive/Genesis and Sega Mega-CD/Sega CD ports were handled by Core Design. The Sega Game Gear port was handled by Spidersoft (this was also supposed to be released for the Sega Master System; a prototype exists). 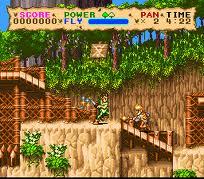 All versions were published by Sony Imagesoft and were essentially identical; however, the Sega CD version has the musical score from the film and better cut scenes with voice actors and digital stills. The Humans is a puzzle game published and released by GameTek in 1992. The goal of The Humans varies per level, but is usually to bring at least one of the player-controlled humans to the designated end area, marked by a red tile. 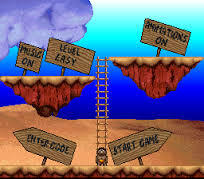 To do this, the player must take advantage of the humans' ability to build a human ladder and use tools, such as spears, torches, wheels, ropes, in later levels, a witch doctor. The Humans was released for many different consoles, with the Jaguar and Lynx versions, published by Atari, titled Evolution: Dino Dudes and Dinolympics respectively. Two sequels have been released: The Humans 2: The Jurassic Levels for Amiga and PC, and The Humans III: Evolution—Lost in Time... for Amiga (AGA) and PC. In 2009, it was rereleased for Windows under the name The Humans: Meet the Ancestors! Upon its release, The Humans was received very well, praised for its originality and decent graphics and music.